The star of Kung Fu and the title character of the two Kill Bill movies was found dead in Bangkok, Thailand. If you read up on this story be very careful what you believe. At this moment nothing has been officially released regarding his death. Everything is a rumor. 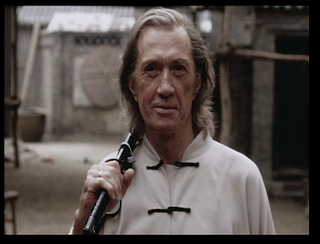 For example David Carradine is said to have been found in the closet of his Bangkok hotel, hanging from a cord, and his hands tied behind his back. *******And this is just a rumor. Nothing has been officially stated as to the cause of death. But if this is true it strongly indicates murder.